Sigh. 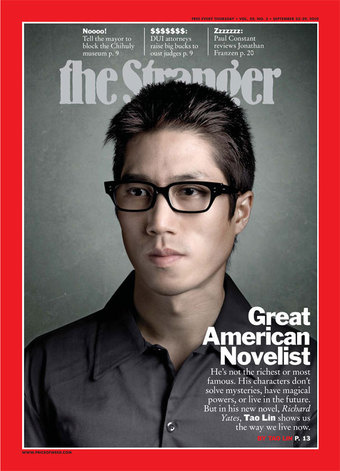 The waterlogged, coffee-swilling pests at The Stranger, the alt-weekly serving the flannel-skinned weirdos of Seattle, had the dumb audacity to do a cover story on stunt-novelist Tao Lin. Bad enough! Worse still? They let him write the damn story.